Almost 3bn hryvnyas were allegedly withdrawn from the bank after the nationalization. The Deposits Guarantee Fund has written off 29.4bn hryvnyas in Privatbank's debts to shareholders, National Bank of Ukraine (NBU) governor Valeriya Hontareva has said on the air of Radio Vesti. "The NBU asked the Deposits Guarantee Fund (at the state of temporary administration in Privatbank) to have the bank's debts to affiliated persons written off. The temporary administrator only managed to write off 29.4bn hryvnyas out of 32bn hryvnyas we declared. Why only 29bn hryvnyas? Because there has been no other money on accounts," she said. "This means this money has been removed from there over the past days," she added. Earlier, Hontareva said that Privatbank's deficit reaches 148bn hryvnyas, a part of which (32bn hryvnyas) could be covered by converting the assets owned by companies affiliated with the bank's shareholders into capital. 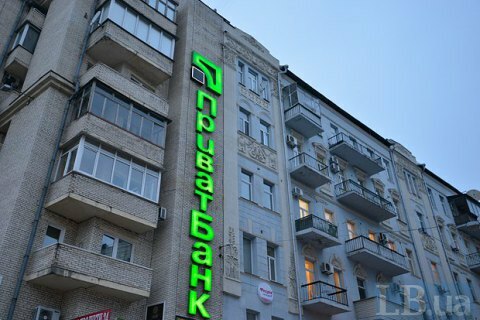 Before the nationalization, 42 per cent of Privatbank's shares belonged to Ihor Kolomoyskyy and 33 per cent to Hennadiy Boholyubov.